I'm sure many of you, like myself, use Google Chrome as your main browser. Chrome was built from scratch, with the exception of its engine (which was WebKit at the time), to be for the modern web. The internet is no longer a series of text-only pages with images, and Chrome was built with modern web applications and security in mind. If you don't know, a rendering engine is the part of a web browser that displays content. Chrome and Opera use Blink, Safari uses WebKit, and so on. Firefox's engine, called Gecko, has been around for ages. In fact, it was originally developed for Netscape Navigator all the way back in 1997 to replace their existing rendering engine. Obviously Gecko has evolved a lot since then, but I'm willing to bet it still has a fair amount of legacy code. While Mozilla has been working to make Firefox faster, recently with improvements like Electrolysis, the company is eager to keep improving the browser. Enter Project Quantum. Quantum is Mozilla's attempt to replace components of Gecko with code from the relatively-new Servo engine. 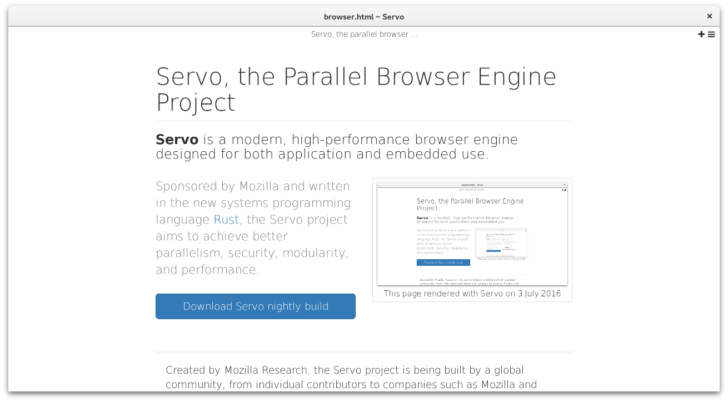 Servo development is actually sponsored by Mozilla, but due to Servo being very far from a complete engine, Quantum will bring some of Servo's best features to Gecko. In essence, it is a holdover until Servo becomes usable enough to replace Gecko altogether. Now before you go and say "why don't they just use a faster engine instead of using Gecko," Servo is crazy fast. A benchmark from March showed Servo rendering a graphics-heavy page at 60FPS, with a nightly WebKit build at 5FPS and Chrome Canary at 15FPS. Servo's graphics backend is scheduled to arrive in Firefox as part of Project Quantum, and that's just one component. Mozilla expects some of Quantum's improvements to hit Firefox users by the end of 2017. Project Quantum's improvements, when they are ready, will ship in all versions of Firefox - including the Android app.